Hawk Hut is built on the site of the original Homestead whose double chimney now serves as an outside fireplace and BBQ area. 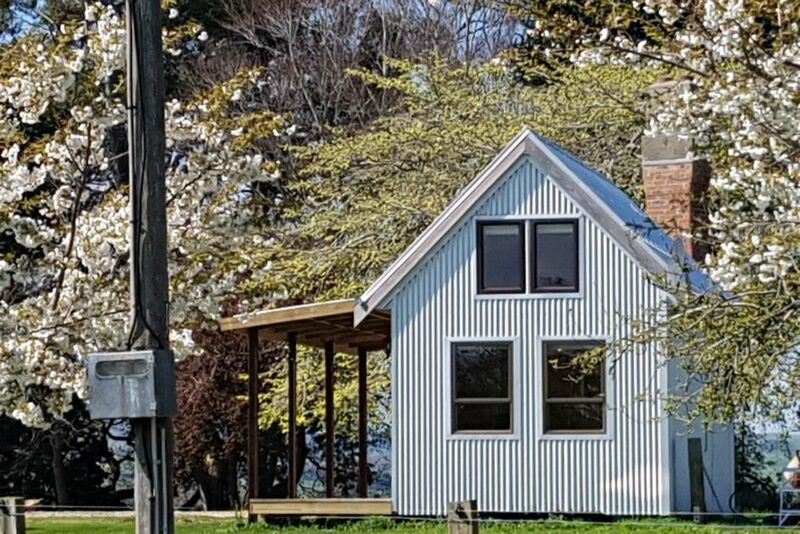 Surrounded by ancient farm buildings, orchard and plantings, the hut is built in a quiet clearing with ample space for parking, playing and pets. Close by is the famous fishing river Mataura, and the amenities of Gore including the Race course, AandP showgrounds and multi-sports complex. Dolamore Park's bush walks and picnic area are ten minutes away. Centrally located, we are an hours drive from Invercargill, the East coast and Central Otago. Loft sleeping area access by ladder ( not suitable for elderly or small children). Smoking outside only. Extra children stay free. Power points for camper vans and horse paddock also available. plenty of parking space & turnaround for trailers/floats if required. Hawk Hut is surrounded by extensive lawns, an old orchard & mature plantings of trees. 7mins drive to the local indoor sports facility including heated pools, ice skating rink & courts. Our second trip to Hawk Hut served to remind us just how beautiful and peaceful this place is. A perfect base for a week's fishing and walking in lovely Southland. We look forward to return visits to Hawk Hut. Derek and Heidi made us feel so welcome, providing everything we needed for a wonderful holiday. The cottage is beautifully and efficiently designed and built by Derek. The area is perfect for trout fishing and exploring the southern part of New Zealand. Lovely house, great hosts, perfect weather. They did everything they could to make sure we had a great stay....and we did. What wonderful hosts and what a gorgeous place. Nice to stay on a farming property out of Town. Very quaint cottage with everything you need for a short stay. Very friendly helpful host.